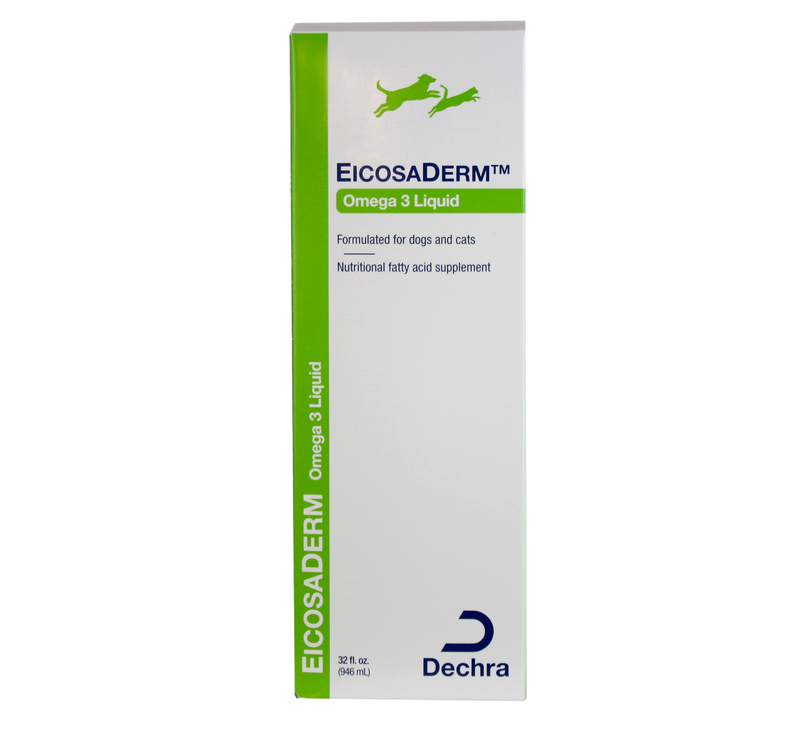 Omega-3 fatty acids are an essential part of pet health, restoring skin and coat moisture on the outside, and repairing tissues and regulating inflammation on the inside. 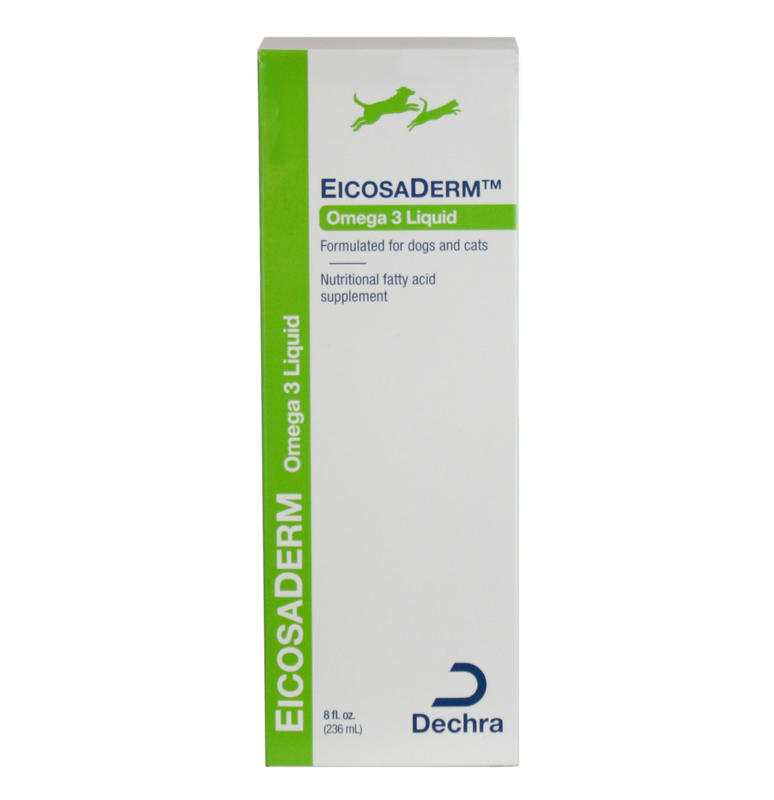 Dechra EicosaDerm Omega-3 fatty acid supplement comes in an easy-to-use liquid pump for exact dosing, with no sugars, starches or preservatives. Give your pet one pump per 20 pounds of weight.